Lightweight and purpose built Browe's Sport Optic (BSO) fulfills the needs of sportsment, police and military individuals who prefer AR style sporting rifles. Lightweight, versatile and featuring RIT: Rechargeable Illumination Technology as well as bombproof construction this is the all purpose field optic of choice. Lightweight and purpose built Browe&apos;s Sport Optic (BSO) fulfills the needs of sportsment, police and military individuals who prefer AR style sporting rifles. Lightweight, versatile and featuring RIT: Rechargeable Illumination Technology as well as bombproof construction this is the all purpose field optic of choice. The BSO features an evolutionary, battery free, Rechargeable Illumination Technology (RIT), which is environmentally friendly and non toxic. 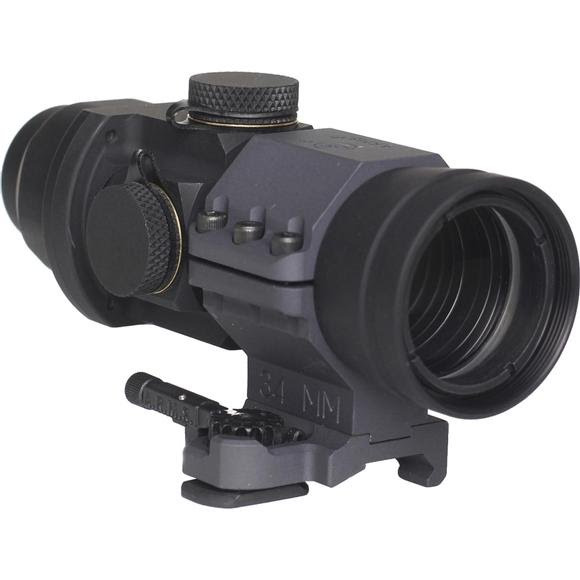 Simply charge the RIT illumination with ANY light source and get hours of low light reticle illumination. A brief 15 second charge from a high intensity flashlight provides hours of reticle illumination, ideal for those low light situations.